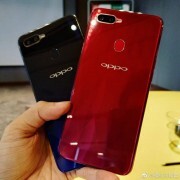 Oppo seems to have taken a new approach to keeping its unofficial phones a secret – it doesn’t. 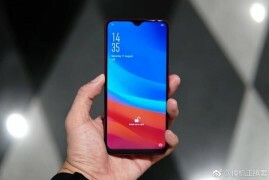 While the Oppo F9 will not be officially unveiled until the 15th (this Wednesday), the first promo video is already a fact. It stars Taiwanese singer/actress Hebe Tien, who walks you through the key features (there are English subtitles). The phone will have a diamond pattern on the back with a gradient and will be available in two colors: Sunrise Red and Twilight Blue. The Oppo F9 has a dual rear camera, a first for the F-series, and it supports Portrait mode. According to rumors, the camera is a 16MP + 2MP shooter. 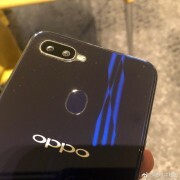 The tiny notch on the front houses a 25MP selfie camera (a design element shared with the more premium Oppo R17). The screen is reportedly a 6.3” 1080p+ panel and the claimed screen-to-body ratio is over 90%. This could be the first phone to launch with the new Gorilla Glass 6. A MediaTek Helio P20 chipset will run ColorOS 5.2 (based on Oreo). The F9 will have a 3,500mAh battery with VOOC flash charge – 5 minutes of charging gets you 2 hours of talk time, claims the ad. VOOC was present in early F-series phones (F1 and F3), but was MIA in more recent models. Oh really? But mine is good..I installed many great games/apps in my oppo f7 such as ROS, MLBB, Asphalt Urban 8, Modern Combat, NBA 2k18 and I played these all in high graphics but there is no issue at all..
She is old, but have nice skin.